South Jordan, UT and Boston, MA - CallTower Inc., a global leader in delivering cloud-based enterprise-class unified communications and collaboration solutions, was present at Microsoft Ignite 2018, in Orlando, Florida, when Microsoft made a major announcement regarding the support of Office 365 communication solutions. This announcement has been anticipated since last year's Ignite Event when Microsoft announced that Teams would eventually replace Skype for Business Online. Many companies are in a transition period running both solutions in sync. The interoperability at this time is not robust and many companies have not embraced Microsoft Teams as their primary communications and collaboration solution. With Microsoft’s latest announcement, many Skype for Business customers are concerned that their primary communication solutions will lose support or cease to function. CallTower remains committed to delivering full support for both Skype for Business and Microsoft Teams with key integrations. CallTower’s certified Microsoft engineers design customized solutions to simplify business communication technologies. 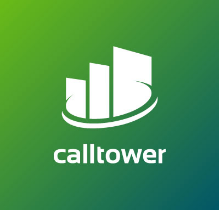 CallTower’s highly trained 24/7/365 US-based client representatives ensure users are fully supported. CallTower will roll out Skype for Business Server 2019 Edition to sustain native ongoing support of Skype.